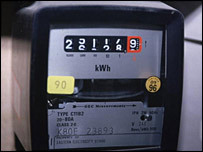 A centre of excellence for the independent forensic testing of supply meters, Identifies fraudulent tampering with meters quickly. The evidence gathered is then presented in a form required by the Crown Prosecution Service. The services utilises many years of experience and vast numbers of case histories to identify the means of tampering. Expert witnesses are then dispatched to courts throughout the UK to provide evidence in support of the prosecution. If you are a supplier or user of meters, and feel you would like to discuss these matters further, call 0845 6039053 or follow the contacts link below.